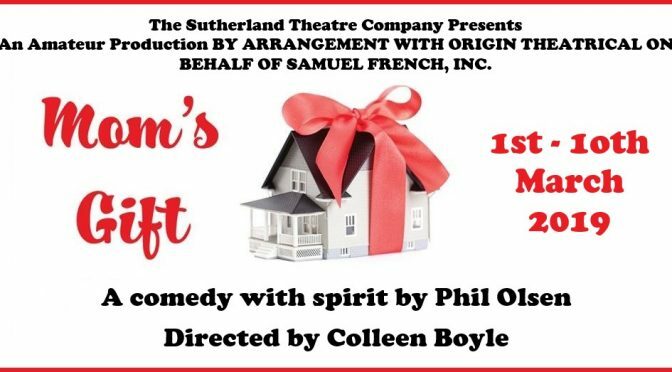 Sutherland Theatre Company’s first production for 2019 is Phil Olsen’s hilarious and heart warming comedy, MOMS GIFT. Mom has been dead for 11 months and shows up at her husband’s birthday party as a ghost with a mission; she has to accomplish a task to earn her wings. But there are so many things to fix. The problem is complicated by the fact that the only person who can hear or see Mom is her daughter who has been ordered by the court to spend Dad’s birthday with him as part of her Anger Management Program. One by one the family’s secrets are peeled away revealing a shocking truth that surprises even our ghost. 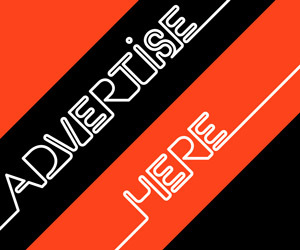 March 1st at 8pm, 2nd at 2pm, 3rd at 2pm, 7th at 8pm, 8th at 8pm, 9th at 8pm and 10th at 2pm @ Sutherland Memorial School of the Arts.